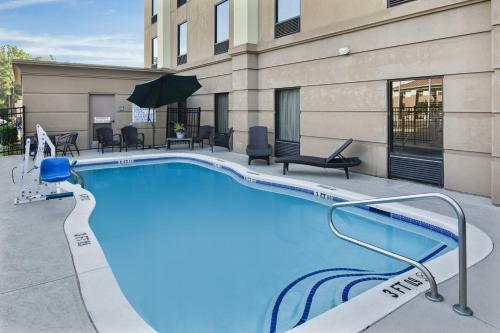 This Hinesville, Georgia hotel features an outdoor pool and rooms include 32-inch flat-screen cable TVs. 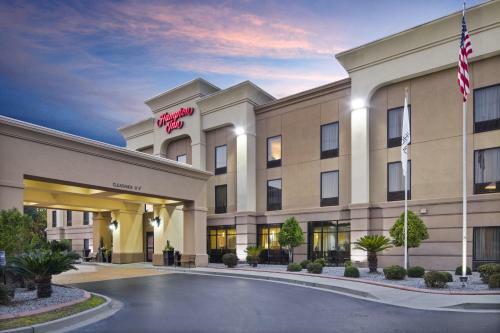 The hotel also includes a gym and is 1.2-miles from Fort Stewart. 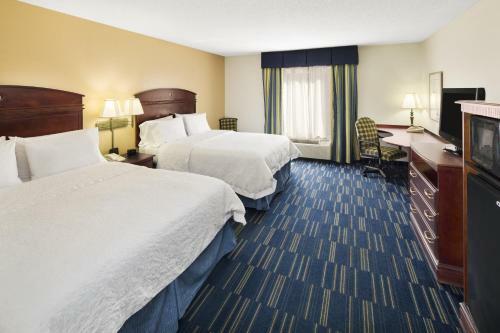 Every room is furnished with a microwave and a refrigerator at the Hampton Inn Hinesville. 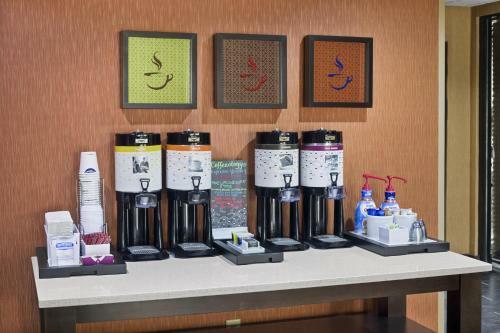 They also include coffee facilities. 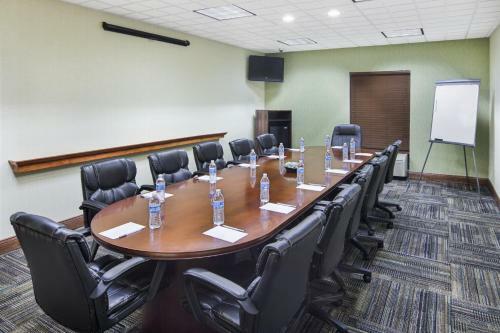 Hinesville Hampton Inn has a business center. 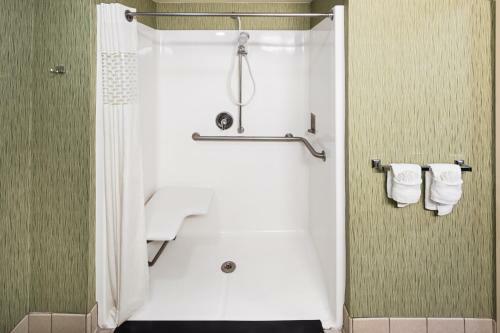 The hotel also offers free access to the nearby YMCA. 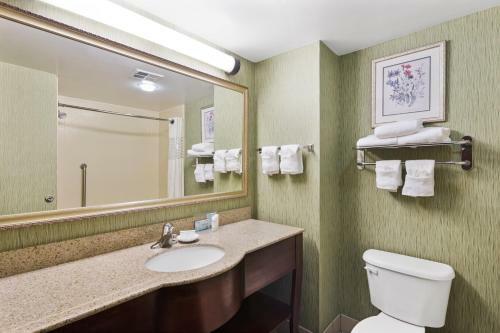 For added convenience, laundry facilities are also available at the hotel. 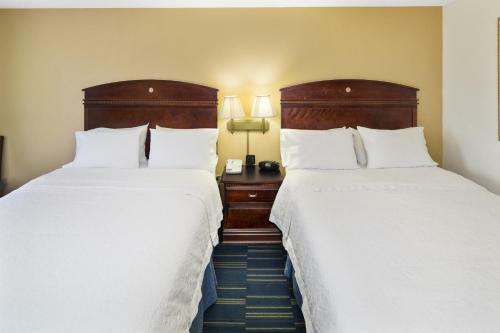 Savannah/Hilton Head International Airport is 34-miles from the Hampton Inn Hinesville. The hotel is nearby local restaurants. 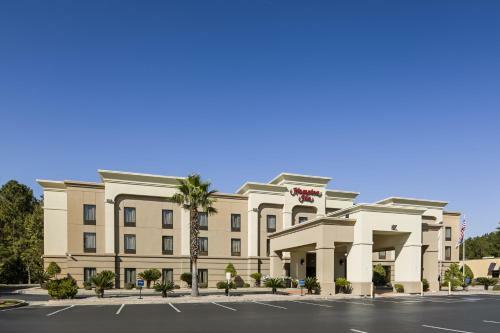 the hotel Hampton Inn Hinesville so we can give you detailed rates for the rooms in the desired period.